Need help forming an intramural team? 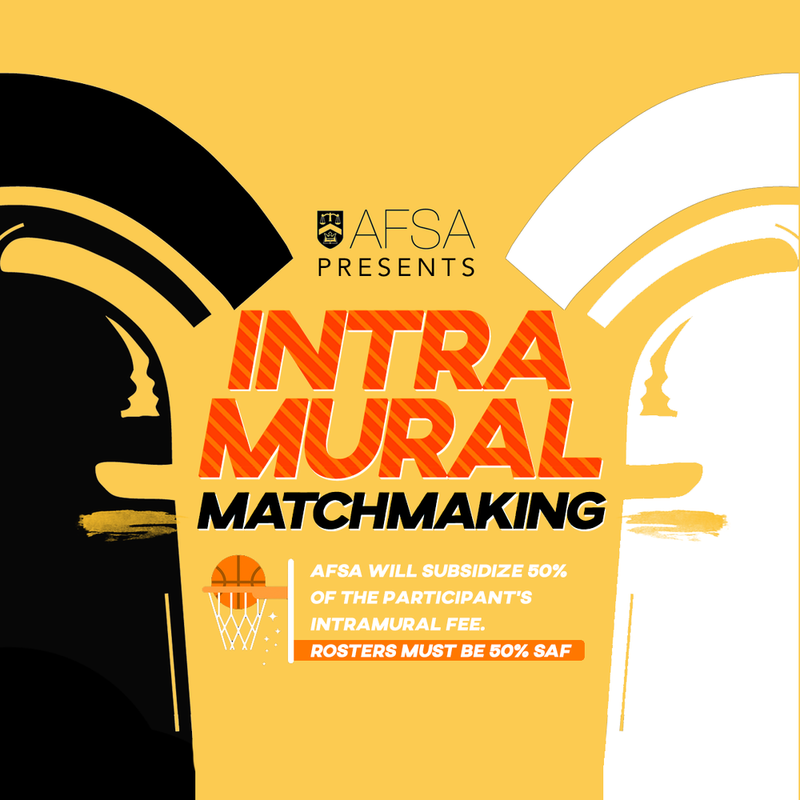 Sign up for AFSA's intramural team making service! Just fill out the form below to select your activities of interest, and on SEPT 14, you will be matched with other SAF students who want to form a team as well. Also, feel free to sign up with your friends and request to be on their team. From there, you can find some more team members to include if you like, and register with UW intramurals by September 18! If at least 50% of your team is in SAF AND signed up through AFSA's matchmaking, those team members will receive a 50% SUBSIDY on their individual team fee. For more information about UW intramural.